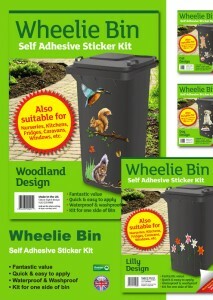 Category: Wheelie Bin Decorative Kits, Wheelie Bin Stickers. With wheelie bins galore adorning the streets of Britain, what better way to brighten up your road than by brightening up your wheelie bin? Classic Sign is well known the world over for our attractive Wheelie Bin Decorative Kits, especially designed to add a splash of colour to your wheelie bins and recycling containers. Choose from one of eight fantastic designs and watch as your wheelie bin becomes an eyesore no more. 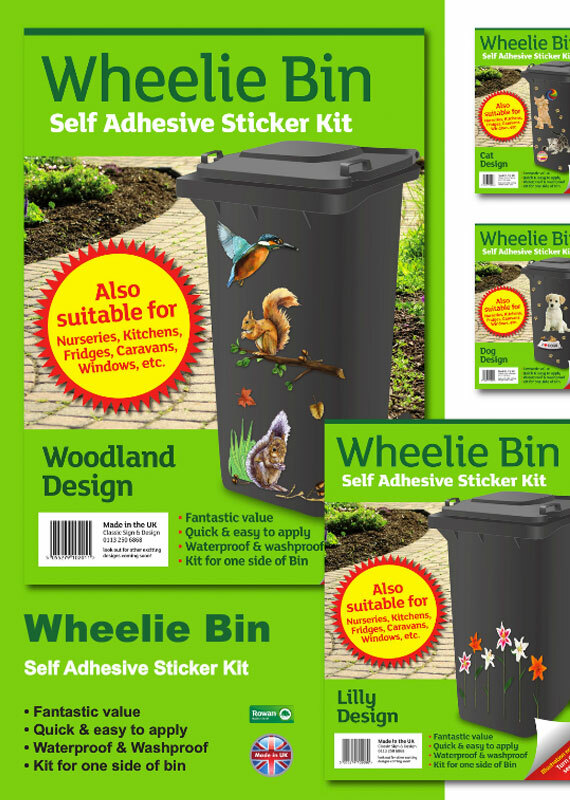 Wheelie Bin Decorative Kits come in a range of eye-catching options including Dog, Cat, Gnome, Butterfly, Tulip, Daffodil, Lily, Woodland, Balloon, Rabbit, Daisy, Rose, Chick, Parrot, Meerkat and Pigeon. Wheelie Bin Decorative Kits are designed to fit your wheelie bin to perfection but they also have many more uses besides. These attractive, self-adhesive stickers are ideal for brightening up your home too. Children’s walls, kitchen cupboards, dog bowls, French windows and garage doors can all given a new lease of life with Wheelie Bin Decorative Kits, or why not use them on your car, boat, caravan or bike? 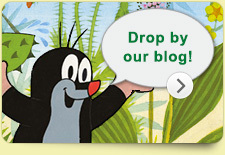 You can even use them in your office, on your laptop, or on your mobile phone to brighten up your work environment. Wheelie Bin Decorative Kits are made from high-quality waterproof vinyl that will stick to any clean, dry surface and the special waterproof UV ink ensures that the designs will never fade, whatever the weather. Turn your eyesore into a piece of art today with our Wheelie Bin Decorative Kit. Looking for something a little bit extra? 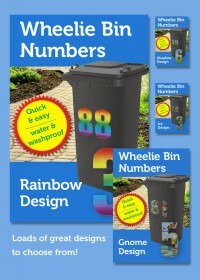 Why not order a Wheelie Bin Number Kit too.